Tony Coe has been in the Aviation Industry since 1973, when he joined Cargo Operator. Tradewinds Airways as an Operations Officer. Overseas postings from 1974 took Tony to Saudi Arabia, Kenya, Uganda and Nigeria. In 1976 he joined IML Air Services (later UPS)as Regional Manager UAE and was posted to Dubai for 3 years. In 1979 he re-joined Tradewinds Airways as joint-venture General Manager with Sudan Airways and spent 3 years in Sudan. In 1982 he then joined the large Freight Forwarder Air Express International as Regional Manager for Sudan and Egypt. 1985 Tony returned to the UK for a break and then managed a Cessna Executive aircraft of Gatwick Executive Aviation for 18 months. In 1986 Tony joined ANA Aviation in order to head up their General Sales Agency for Affretair airlines of Zimbabwe. Since 1989 Tony has owned his own two companies Airside Aviation which started and ran MK Airlines commercial affairs and more recently 1997 when he started Aviation Complete Ltd a GSA and aircraft operating agent. Aviation Complete still operates to this day leasing and chartering passenger and cargo aircraft. 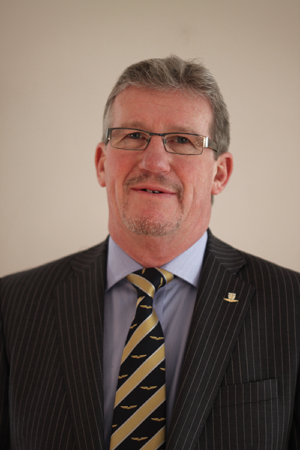 Tony has been a BACA Council member since 2009 and was Chairman for the Association from 2013-2016.